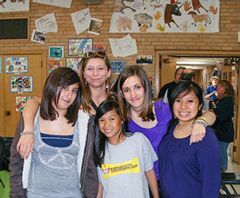 Creativity and self-expression are valued as part of the overall academic experience at Topeka Collegiate. 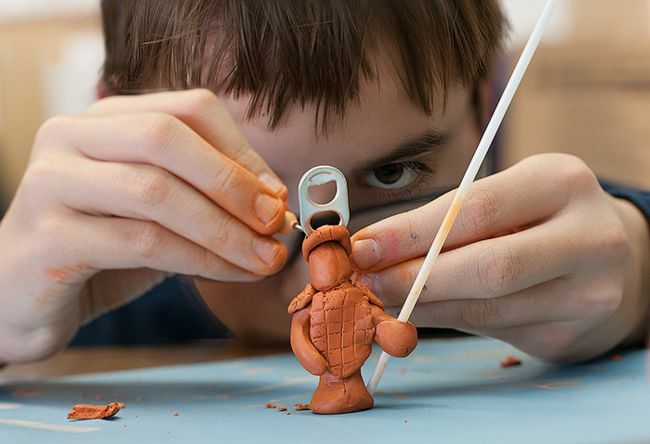 Beginning in kindergarten, lower school students travel to the art room for classes combining an introduction to fundamental elements of art with instruction in a variety of media and techniques. Integrated into the curriculum are lessons about famous artists, important artistic traditions and art history. 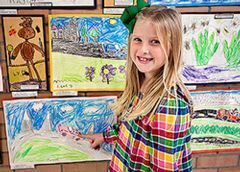 At the annual Lower School Art Show, young artists’ work is displayed in a gallery-like setting. Visitors are likely to hear a second grader telling his family about Henri Rousseau’s Cat in the Jungle or a first grader explaining warm and cool colors. Middle school art students are given creative latitude to complete projects based on well-known artists’ distinctive styles. Interpretations of a single artist’s work might range from computer-manipulated photographs to drawings with dramatic interplay between light and shadow. Instruction begins with a grounding in the famous artist’s style and technique, then encourages students to produce work that is reflective of themselves and the environment around them. The result is an increased aptitude for analysis and interpretation and a higher level of aesthetic judgment.